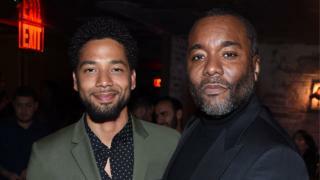 The creator of TV show Empire, Lee Daniels, has spoken about the "pain and anger and sadness and frustration" he and his cast have gone through over the Jussie Smollett case. Posting on Instagram, the writer-director said he and his team "really don't know how to deal with it." Lee Daniels, who has made films such as Precious, started his video by saying: "These past couple of weeks have been a freakin' rollercoaster." He adds that Empire "was made to bring America together" and to "talk about the atrocities that are happening right now in the streets." The alleged attack happened on 29 January. The actor claimed to have been punched in the face, had an "unknown chemical substance" poured on him and a rope wrapped around his neck. Lee Daniels posted an emotional message on Instagram, where he said: "Hold your head up Jussie. I'm with you". He's since deleted the post and had stayed relatively quiet. 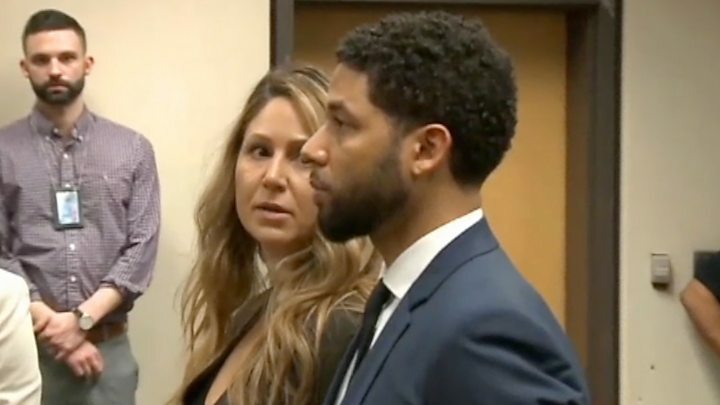 The police said Smollett "took advantage of the pain and anger of racism to promote his career". But his lawyers issued a strongly-worded statement after the hearing, calling it an "organised law enforcement spectacle".